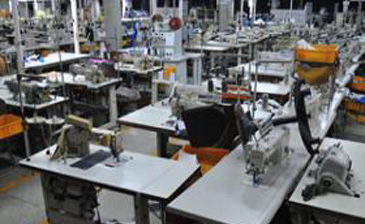 South Korea-based YoungOne Corporation has resumed operation in all of its garment factories after the violent labour unrest that forced it to shut them down on Dec. 11, 2010. The factories of the YoungOne was closed around 9:30 p.m. on the day as the employees and workers of the footwear factory at Chittagong Export Processing Zone (CEPZ) demonstrated against what they said was discrimination in their wage structure. Officials of Bangladesh Export Processing Zones Authorities (Bepza) said a probe committee was investigating the plausible reasons behind the labour unrest. YoungOne has six factories in the Dhaka Export Processing Zone and 11 in the Chittagong Export Processing Zone. "Move Away from Export-led Growth"
Mr. Ataur Rahman serves as Bangladesh Correspondent for The Seoul Times. He eanred his Master of Commerce degree from Dhaka University in 1985. Mr. Rahman has vast journalistic rexperience including his stints at "The Daily Janata" and "The Dainik Bangla."